I've been a growing fan of linen over the past couple of years and it's one essential you'll want to have on hand during the Summer season. It's lightweight and free flowing, that absorbs moisture quite well. 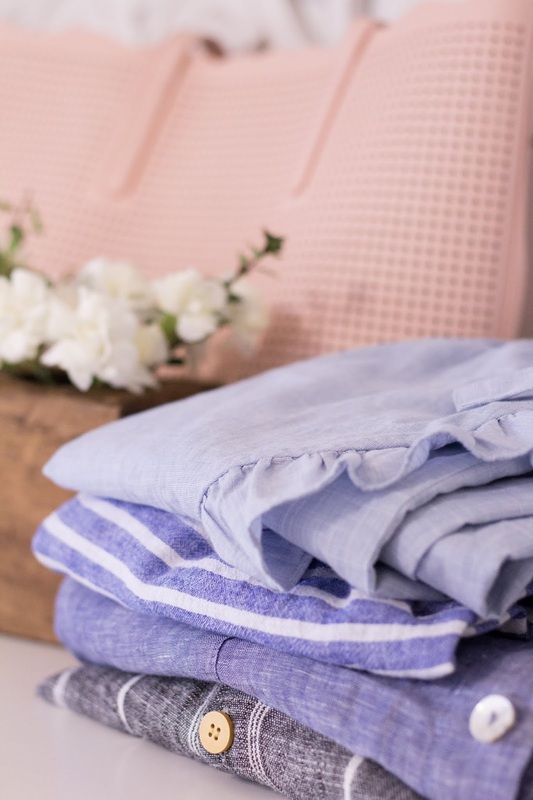 You can really find linen in nearly everything, from dresses, to skirts, and even in bedding. You don't have to worry about it clinging to your skin and I actually do feel a difference in terms of body temperature when I wear linen vs. silk or poly blend tops. Linen is noticeably cooling and comfortable compared to other fabrics. This is why I'm now convinced to incorporate linen sheets in our bedding, for that relaxed feel. So what's the best way to wear linen, since I know some of you have had the same concerns with me regarding wrinkling. It's one of those expected qualities about linen and it's something I don't mind too much about because it's a charming characteristic of the fabric. 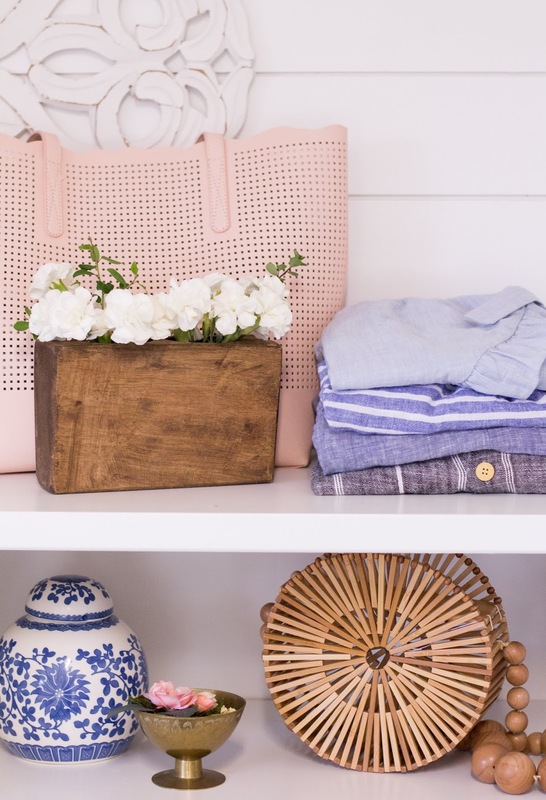 These are some tips that have really helped me with all my linen pieces to keep them looking their best! Shop for soft linen or linen blend fabrics for a lightweight and casual feel. You don't want anything scratchy or heavy laying against your skin. Out of the wash, I like to dry my linen pieces until they are about 2/3rd's of the way dry, leaving a bit of dampness to the fabric. This reduces any wrinkling and the feel of crispness from the fabric. Spray wrinkled areas with a mist of water to help straighten out the fabric. I just use a travel sized spray bottle that I have on hand for this. 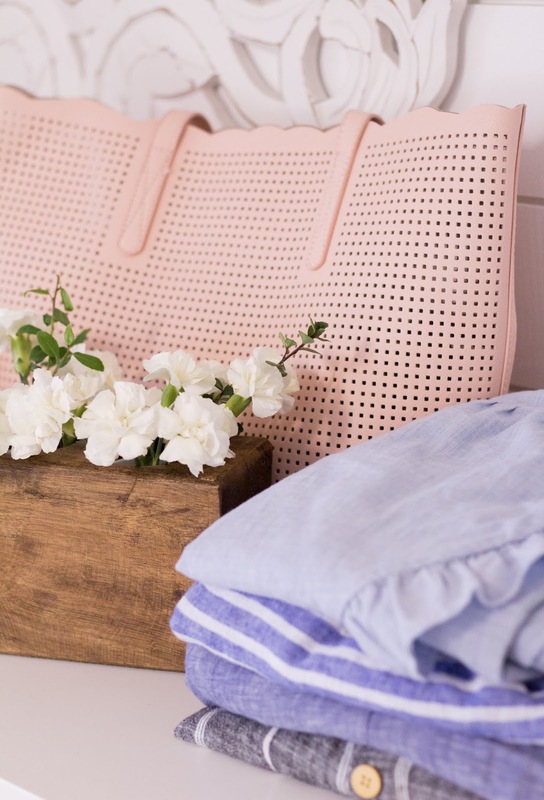 Linen dries fast, so it's a quick fix to help keep your clothes nice and neat all day. And my most helpful tip ... Use a steamer for your linen clothing and bedding, which I feel works out the wrinkles the best and prolongs a nicer appearance to your clothing. Personally, steaming my linen pieces is less time consuming than the hassle of ironing them and I experienced a lot less wrinkling throughout the day using this steamer. Truly, the best steamer at such a great price point! For bedding, I simply run a light steam across the sheets if needed to bring back it's shape and then straighten out the top hem fully with a steamer for a soft and relaxing look. It's a pretty easy process and I don't use starch when steaming. 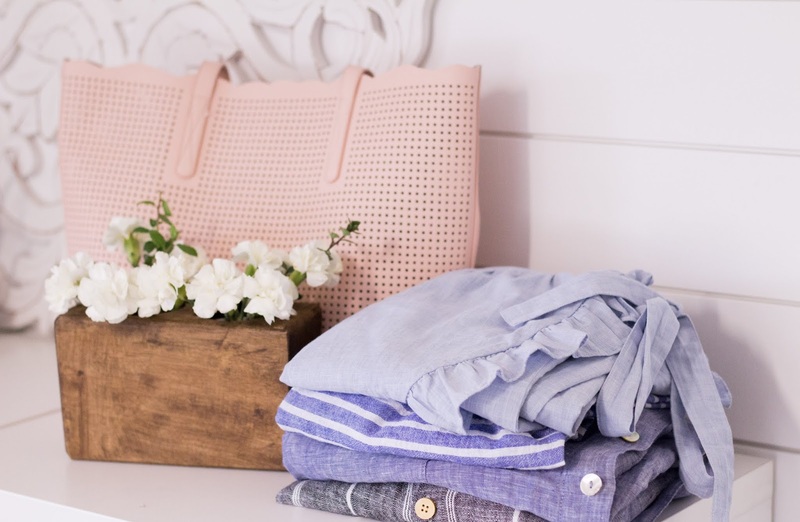 I hope these tips helped you with all your linen pretties and try to stay cool out there!